This is a follow up post from one of TAPE’s “capture managers,” a member of our business development team. It’s important to understand that there are different intelligence zones involved in capture management – customer, competitive intelligence, program, staffing, and pricing. Being able to define it in those chunks helps us understand the kind of solution that we need to write towards in our proposal. Each of those zones have some basic questions and KPIs (key performance indicators). We looked at client relationships and competitive intelligence in Part 1. Today we’ll look at staffing, and how the TAPE team works together and decides what to bid on. Staffing is one of the most important aspects of capture to get right because clients don’t buy products or companies; they buy people. Having the right people on your team is critical for success, but who are the right people? It’s important to distinguish between the key personnel and the rest of the team. Your key personnel are usually the people who lead the program, and their resumes are usually required to be submitted with the proposal. If they’re not already on your payroll, letters of commitment are often required. 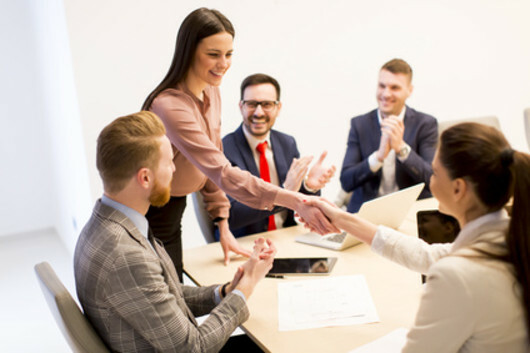 The right key personnel will have all the required certifications, training, and years of experience, are known to the customer and have a good reputation, and can help you write the proposal. For non-key personnel (other team members), it is important to identify as many qualified candidates as possible before submitting a proposal. Staffing matrices are typically required, listing all of the positions and hours assigned to the project. If the only names in the staffing matrix are those for the key personnel, the program looks unstaffed and therefore more risky to evaluators. That’s why it is important to identify as many qualified candidates as possible (those with all the required certifications, training, and years of experience) before submission. Because TAPE is a small business, we often have to wear a lot of different hats. There is always a locus of intelligence in one area, for example our senior vice president, administration and our chief financial officer will certainly help with pricing, but so will others who can bring the customer intimacy and program knowledge – perhaps someone who’s been in government and knows the program or its people. That person may be on staff at TAPE, or we’ll hire subject matter experts who can provide us that information. It’s a shared responsibility amongst the team to go out and find this information, and my role to coordinate all these efforts and all of these people. What’s most important is having a team you trust, because you can’t do everything. Trust is the biggest component – trust, good working relationships, and good communication. Also important are positivity, a can-do attitude, and being able to see things from multiple perspectives to gather what’s really important and what can wait, as well as graciousness and thankfulness for everyone’s efforts. At TAPE we always put a high value on our working relationships and communication – things are just so much easier when everyone’s on the same page. Some days there is bound to be confusion. Giving everyone the benefit of the doubt can be difficult but at the end of the day it keeps us communicating and honest with each other. Successful relationships require trust and credibility. So often we deal with teammates who are not a part of TAPE. When we’re not teaming, we’re competitors – it’s a friendly competition, but building and maintaining trust in those relationships is vital. A big part of capture is about continually vetting and re-vetting opportunities to understand exactly what it is you’re investing in. 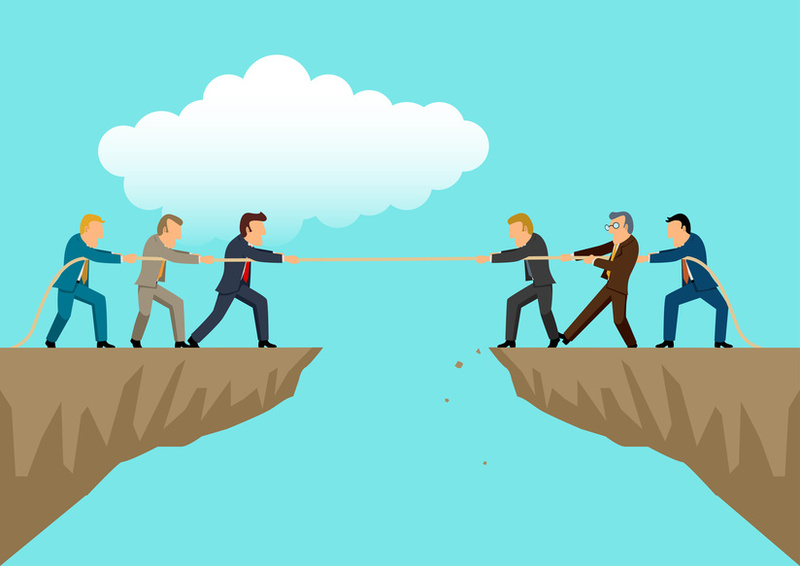 So often there’s a huge disconnect or built-in conflict between the business development and capture proposal sides of the house. Business development wants to say yes to everything and capture proposal wants to say no to everything. 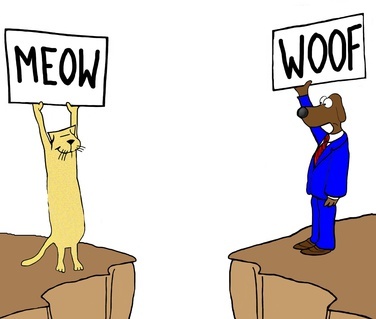 It’s essential to build a bridge between the two because proposals often get seen as Dr. No and business development seen as snake oil salesmen. When you do decide to qualify a bid and devote capture resources to it, you’re making an investment – though not all investments are equal. Sometimes you invest in a contract that will lose money so you can establish a relationship with a customer; other times you make a smaller investment by teaming with someone. But in all cases these are investments in time and resources, and you must understand exactly how that investment impacts your bottom line. Thinking back to Lohfeld’s wise words that the best informed win, we can look to the data for this purpose. When discriminating what will remain in the pipeline and what we’ll invest more into, we need to know how much a proposal will cost. Do we have the necessary internal resources, or will we have to hire out? What will that cost? Capture management means having a systematic way of reviewing an opportunity to determine your probability of win, and how that equates to what you’ll see in revenue and return on investment. Measuring those things and collecting that data in order to make an informed decision is an important component of what we do in capture. Here’s a guest post from one of TAPE’s “capture managers,” a member of our business development team. A large number of my family and friends live outside the “beltway.” So when I tell them I’m a capture manager, they give me a blank look – and you might, too. Unlike medical and legal professions, capture management is a profession that doesn’t get a lot of attention outside of the beltway. But today, we’re going to break it down and understand what capture is and how small businesses can use it to grow. Opening – this is where businesses identify who they are, what they’re going to sell, and the clients they’re going to target. In essence, this is how businesses condition the marketplace to be successful. Middle – this is where businesses, focusing on specific accounts, manage the client relationship and develop opportunities. This middle game focuses on gathering information and then shaping the client’s perceptions. In essence, this stage of the game is all about conditioning the client. Endgame – this is where businesses write proposals, negotiate, and sign contracts. This endgame is where businesses condition the deal. As in chess, when businesses wait until the end to try and win, they’re more likely to lose. Chess games and business contracts are won or lost a majority of the time in the middle game. Capture is the middle game. It comes after making contact with a prospective client, and before an RFP is released. My colleagues and other industry veterans will tell you that a prospective client’s buying decision is typically 40-80% complete before proposals are even submitted. This means that the middle game constitutes as much as 70% of a company’s probability of win. Considering these statistics, it is no wonder that large government contractors (LGCs) have dedicated capture teams. In addition to their capture personnel, though, LGCs have also developed a capture discipline, or set of processes, by which they organize, monitor, and evaluate their capture efforts. Many small businesses cannot afford the cost of a dedicated capture team, but none can afford to neglect building a capture discipline. The question, then, is how can small businesses go about developing a capture discipline? 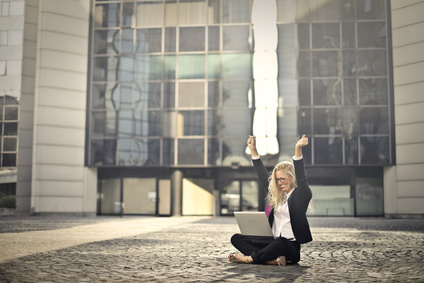 When clients know you by name, when you’ve collaborated with them to develop their solution, when you’ve used your knowledge of the competition’s strengths and weaknesses to refine your solution, when you’ve identified staff in your solution that the client knows and trusts, and when you’ve priced it competitively you have effectively positioned yourself to win the contract. Accomplishing all of these goals takes time and persistence. It also helps to have a shared understanding of the steps one takes to achieve these goals. Does the client know your name? Does the client understand your company’s capabilities? 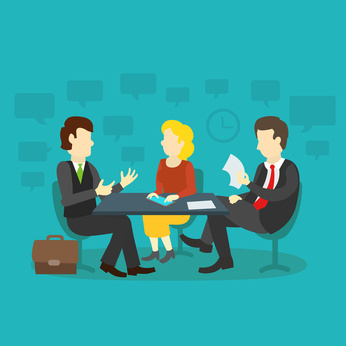 Has the client met with you to understand and/or develop their requirements? Does the client trust you? Knowledge is power, and what you don’t know can hurt you. My mantra for capture comes from industry titan Bob Lohfeld, whose book of collected articles is titled Best Informed Wins. The whole idea for capture is that we gain as much intelligence as possible to win bids. That includes intelligence on the customer and customer intimacy, e.g., do we know who the program manager and contracting manager are, have we had conversations with them, are they comfortable calling us by name, do they know who we are, either as TAPE or individuals? What are their problems, what do they see as possible solutions, and how do we help them solve those problems? Knowing all of that gives us customer intimacy, and the intelligence that comes along with that. Then there’s market intelligence, e.g., who are our competitors, what have they done recently, and what are their significant strengths and weaknesses? Do we have everything it takes to provide solutions or do we need to team? Do we have the right people, who are of interest to the program office, that they know and trust? Are we able to get people quickly? There’s also financial intelligence, i.e., knowing the costs, how much the government has to spend and wants to spend. Is cost their biggest priority or is it having the right people? The more informed we are, the better proposal we are able to write, so capture management is a process of strategically uncovering all the information we need to make the win. We’ll address the fourth and fifth characteristics of successful capture (secure staffing and competitive pricing) in a future post, along with some of the other elements that affect TAPE’s capture process. Posted: August 30, 2017 | Author: Bill Jaffe | Filed under: Capture Management | Comments Off on Is It About Winning Or Fulfilling Your Interest? This post was originally published on the TAPE blog at http://tape-llc.com/2017/07/winning-fulfilling-interest/ and was reprinted with permission. This is a guest post by Anuj Vohra and Alex Hastings of Covington & Burling LLP. On January 5, 2017, as part of its “myth-busting” series, the Office of Federal Procurement Policy (“OFPP”) issued a memorandum encouraging federal agencies to improve their post-award debriefings to increase their “productive interactions with . . . industry partners.” Based on feedback from industry and federal agencies, the OFPP described the numerous benefits of effective debriefings, including affording unsuccessful offerors the opportunity to understand the weaknesses in their proposals and the areas for improvement in future competitions and offering agencies an opportunity to review and improve their evaluation processes. To encourage agencies to take such measures, OFPP recommended that agencies adopt a “debriefing guide” and to consider commonly-perceived myths regarding the debriefing process. With respect to the debriefing guide, OFPP encouraged agencies to take measures to (1) allow agency personnel to provide an overall general ranking of the debriefed offerors, (2) prepare government personnel on topics that are appropriate (and not appropriate) for discussion during a debriefing, (3) offer template checklists and agendas for government personnel to use in preparing a debriefing, and (4) establish guidance for agency personnel to engage subject matter experts and general counsel in complex procurements. Myth: All debriefings should be conducted in writing. OFPP explained that “[i]n-person debriefings allow for an open, flexible space where the government and offeror are able to communicate in a productive manner.” Such an effective debriefing also allows for the contracting officials to have the opportunity to secure feedback regarding the solicitation and source selection process. Myth: Companies do not use the information provided in debriefings. OFPP explained that industry “stressed the value” of the information they can derive from a debriefing in improving their future proposals. OFPP explained that understanding the government’s perceived strengths and weaknesses in past proposals helps industry make business decisions and submit more competitive proposals. It remains to be seen whether agencies will heed OFPP’s urging to improve the quality of debriefings. But the guidance appears to be a positive development for government contractors, as improved debriefings have the potential to increase the effective use of contractor resources. For instance, receiving more information about an agency’s source selection decision may allow a contractor to conclude an agency’s award decision was fair and consistent with the terms of the solicitation, alleviating the need for a protest. Additionally, an informative debriefing could allow contractors to better understand the needs of their government customers, allowing them to make business decisions that respond to their customers’ needs and develop more effective future proposals. Of course, these outcomes would also have a positive impact for agencies, resulting in fewer resources being devoted to responding to protests and receiving more competitive proposals. This article was originally published on the Inside Government Contracts blog at https://www.insidegovernmentcontracts.com/2017/01/the-more-you-know-agencies-advised-to-increase-use-of-post-award-debriefings/ and was reprinted with permission. In our continued look at the most common myths about government-vendor communication, here is a reprint of Federal News Radio’s coverage of the OFPP’s second Mythbusters Memo. It was released in May 2012 and is just as relevant today. Field said OFPP developed these second round of myths from a series of meetings with industry, members of the Frontline Forum, senior procurement executives and others. Fact: Contracting officers and program managers are often inundated with general marketing material that doesn’t reach the right people at the right time. 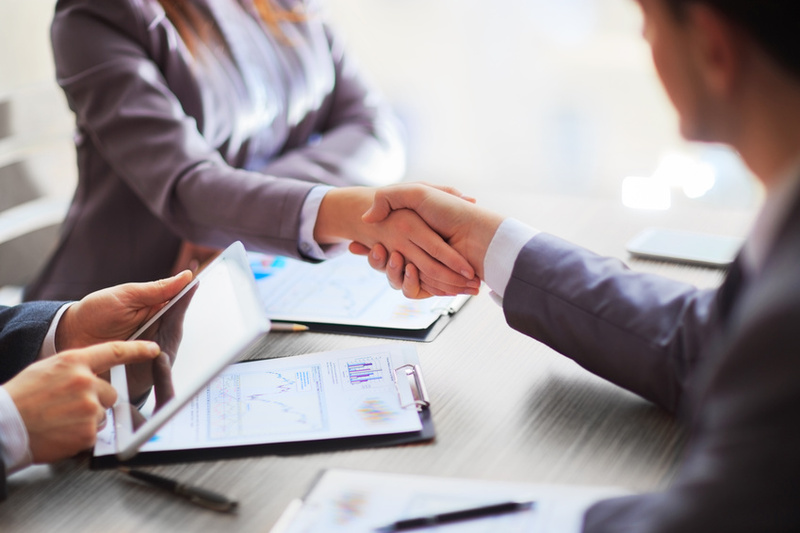 As an alternative, vendors can take advantage of the various outreach sessions that agencies hold for the purpose of connecting contracting officers and program managers with companies whose skills are needed. Joanie Newhart, OFPP’s associate administrator for acquisition workforce programs, said in the interview one of the most commonly held misconceptions is vendors have little influence over potential solicitations in the pre-request for proposal or market research phases. 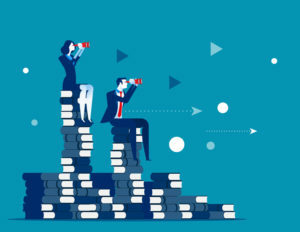 OFPP wrote in the memo that vendors can provide comments or suggestions during the formal requirements development phase without trigging organization conflict of interest as long as the vendor is not hired to develop the requirements. Fact: Industry days and outreach events can be a valuable source of information for potential vendors and are increasingly being used to leverage scarce staff resources. In the memo, OFPP also says another myth is that industry days and pre-solicitation conference aren’t valuable, but that is not true as these widely attended meetings are good ways to understand what the agency’s goals are. Newhart said another common one is that vendors don’t need to tailor each proposal to the specific procurement and can just change a few words for similar solicitations. She said that’s absolutely not the case, and vendors should write the proposal so it meets the evaluation criteria laid out in the RFP. Field said another common myth is around the sharing of pricing information between agencies around similar buys. Fact: Agency personnel have a responsibility to protect proprietary information from disclosure outside the government and will not share it with other companies. Misconception #6 –“Agencies have an obligation not to share information about their contracts, such as prices, with other agencies, similar to the obligation they have not to disclose proprietary information to the public. “We think the price visibility part of it, and I know there are lots of transactions every year, but making sure when a particular agency is buying something that another just purchased, we want to make sure contracting officers are sharing that information,” she said. Field said OFPP is looking at a number of options and possibilities to help get better price visibility, but they don’t have a specific plan yet. The memo states sharing of information between federal agencies is allowed and it’s not a disclosure of proprietary information. Fact: Offerors should tailor each proposal to the evaluation criteria, proposal instructions and specific requirements of the solicitation to which they are responding. Contracting officers and evaluation team members read proposals closely for compliance with the proposal instructions and must evaluate them against the evaluation factors and the statement of work in the solicitation. Misconception #8 –“If I lose the competition, I shouldn’t bother to ask for a debriefing. The contracting officer won’t share any helpful information with me. Another common myth, OFPP says, is vendors should bring business development staff to meet with agency technical staff. Newhart said during her career as a contracting officer all of these myths came up at one time or another and continue today. Newhart said OFPP is planning a lot of outreach to dispel the myths. She said agencies will update their Vendor Communications Plans, required in Mythbusters 1, to reflect these false ideas. Field said there is new functionality on FedBizOpps.gov for small businesses and for vendor communication and collaborationthat will help dispel these myths. The vendor communication plans are posted on the portal. Field said Mythbusters 1 helped open the door for contracting officers to talk with contractors more easily and comfortably and vice versa. This article originally appeared on the Federal News Radio blog at https://federalnewsradio.com/federal-drive/2012/05/ofpp-dispels-8-more-agency-vendor-communications-myths/ and was reprinted with permission. We’ve been digging up some myths and facts about government-industry communications during the acquisition process. This document from the OFPP has been around for several years, and so have these myths. The first myth-busting memo from 2011 (there have been two more since then) identified the 10 most common misconceptions shared in a series of meetings with various stakeholders in the acquisitions process. I covered the first five in a previous post, and now here are the rest. Misconception 6: When the government awards a task or delivery order using the Federal Supply Schedules, debriefing the offerors isn’t required so it shouldn’t be done. Fact: Providing feedback is important, both for offerors and the government, so agencies should generally provide feedback whenever possible. Note from Bill: Yes, yes, yes! Feedback is amazingly necessary to learn the next steps for small businesses. What did we do wrong, and what can we do better? Help us succeed the next time; that’s not going to create protests. Misconception 7: Industry days and similar events attended by multiple vendors are of low value to industry and the government because industry won’t provide useful information in front of competitors, and the government doesn’t release new information. Fact: Well-organized industry days, as well as pre-solicitation and pre-proposal conferences, are valuable opportunities for the government and for potential vendors – both prime contractors and subcontractors, many of whom are small businesses. Note from Bill: Industry days rock! More communication, in a controlled environment, that’s always the ticket. Misconception 8: The program manager already talked to industry to develop the technical requirements, so the contracting officer doesn’t need to do anything else before issuing the RFP. 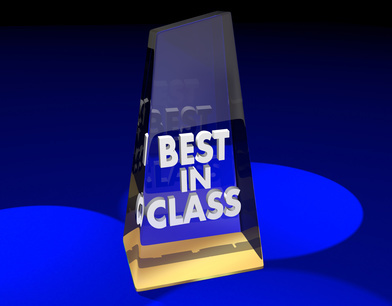 Fact: The technical requirements are only part of the acquisition; getting feedback on terms and conditions, pricing structure, performance metrics, evaluation criteria, and contract administration matters will improve the award and implementation process. Note from Bill: Draft RFPs also rock – just because you’ve written many of these before doesn’t mean industry won’t find the logistical problems and special needs for this procurement. Publish a draft and encourage feedback, please! Misconception 9: Giving industry only a few days to respond to an RFP is OK since the government has been talking to industry about this procurement for over a year. Fact: Providing only short response times may result in the government receiving fewer proposals and the ones received may not be as well-developed – which can lead to a flawed contract. This approach signals that the government isn’t really interested in competition. Note from Bill: Procurements with only a few days notice usually means someone lost track of the time, or that they were completely and irrevocably wired for a specific vendor. Misconception 10: Getting broad participation by many different vendors is too difficult; we’re better off dealing with the established companies we know. Fact: The government loses when we limit ourselves to the companies we already work with. Instead, we need to look for opportunities to increase competition and ensure that all vendors, including small businesses, get fair consideration. Note from Bill: Absolutely – new blood is often good. Of course TAPE just won a job for the 3rd consecutive time, but we’re doing a good job as seen in our CPARs and customer comments. Get fair competition and everyone will benefit. The OFPP released two other sets of myths and facts, and we’ll be delving into those in future blog posts. Stay tuned! Federal Contracting Officers, Let’s Bust Some Myths! They recognized that agencies were hesitating to meet with vendors out of fear of protests or because they just didn’t have effective strategies to manage these communications. Vendors, on the other hand, had fears of their own, such as inadvertently creating a conflict of interest that would keep them from competing on future requirements. They held a series of sessions with representatives from all aspects of the acquisition process to get a better sense of everything that was getting in the way of clear communication between the federal agencies and their prospective vendors. Out of those talks, they pulled together the 10 misconceptions they heard most frequently, and gathered them in this myth-busting memo, along with the corresponding fact and a detailed explanation for each point. You can read the full report in the White House Archives, but here is a summary of the 10 myths and facts, along with my comments. This document may be a few years old, but the myths are still around! Misconception 1: We can’t meet on-on-one with a potential vendor. Note from Bill: Just be aware that anything government officials say to you, they might be obligated to publish. Misconception 2: Since communication with contractors is like communication with registered lobbyists, and since contact with lobbyists must be disclosed, additional communication with contractors will involve a substantial additional disclosure burden, so we should avoid these meetings. Fact: Disclosure is required only in certain circumstances, such as for meetings with registered lobbyists. Most contractors do not fall into this category, and even when disclosure is required, it is normally a minimal burden that should not prevent a useful meeting from taking place. Note from Bill: Go ahead and meet. Don’t accept this excuse; push back and tell them you’re not a registered lobbyist, and that shouldn’t be a barrier. Misconception 3: A protest is something to be avoided at all costs – even if it means the government limits conversations with industry. Note from Bill: This canard is very common, that they are afraid of Misconception #1 causing a protest from whomever they don’t meet with. Not true, as long as they discuss the same things with everyone. Misconception 4: Conducting discussions/negotiations after receipt of proposals will add too much time to the schedule. Note from Bill: Well, it will add time, but it also improves the result and lowers the cost. It’s too bad more contracting officers don’t do this, because the result would be much better for the customer. Misconception 5: If the government meets with vendors, that may cause them to submit an unsolicited proposal and that will delay the procurement process. Fact: Submission of an unsolicited proposal should not affect the schedule. 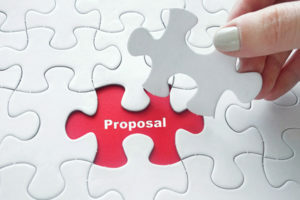 Generally, the unsolicited proposal process is separate from the process for a known agency requirement that can be acquired using competitive methods. 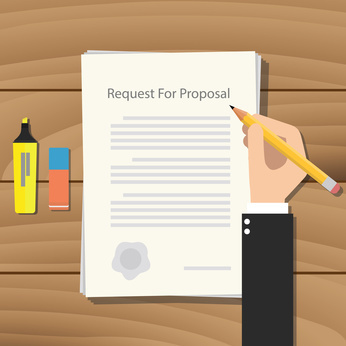 Note from Bill: Unsolicited proposals are very welcome and they often lead to contracts! Chase down that revenue – create a truly formatted correct unsolicited proposal, and submit away. Let’s stop there for now, and we’ll cover the last five sets of myths and facts in another post. Are You Wired to Win? Posted: April 12, 2017 | Author: Guest Author | Filed under: Capture Management, Proposal Writing Tips | Comments Off on Are You Wired to Win? In a webinar called “Wired! How can I do that?” Judy Bradt of Summit Insight painted a picture I’m sure many of you would find familiar. You saw something on www.fbo.gov that looked like the perfect opportunity – work you could do, that matched your experience, yet somebody else won the job. How? They got the opportunity wired for them. It was such a great topic I asked her to tell us more. I’ve heard you say that proposals require “perfection on every page” – why? Contracting officers can only consider offers that are full responsive. That means not only answering every question, but providing the correct information in the format and order required, to exactly the right person, by the right time, to the right place. Any ONE failure can disqualify your entire effort – often, an investment of THOUSANDS of dollars and weeks of time. That’s right: the contracting officer won’t even be able to look at it, no matter how great your price, and how perfect your experience. Why is it important for a contractor to have a bid/no bid checklist in place? It comes down to win rate. In a perfect world, you’d win every time. If you can’t win every time, you want to win as often as possible. Your company’s bid/no-bid checklist sums up the signs that you have a high probability of winning. An opportunity with all the winning signs is your top priority to bid. The income you get from the winning bid also has to cover the cost of all the losing bids. The fewer losers you write, the more money you get to keep! What are three things our competitors are doing to win? They’re building relationships with all the decision makers inside the account. They’re only bidding projects where they have past performance that strongly resembles the kind of work the buyer needs done. They’ve been in there talking to the buying team a long time before the requirement hits the street, shaping the buyer’s idea of them as a low-risk supplier. You have a 10-step scorecard to identify what a team needs to win more federal business. Can my readers get a copy? The scorecard is part of the Government Contracts Made Easier: The Strategy Workbook. This is a 64-page fillable PDF that you can use and update again and again, and share within your company. The list price is $69.95, but if you contact me, I’ll send it to you with my compliments. Thanks, Judy! To hear more of Judy’s excellent tips and strategies, join her for a complimentary webinar, Top Tactics to Meet Federal Buyers. It’s coming up soon on April 18th, so be sure to register now. RFP Templates – By Saving Time, Can You Lose a Bid? Posted: December 21, 2016 | Author: Guest Author | Filed under: Capture Management, Proposal Writing Tips | Comments Off on RFP Templates – By Saving Time, Can You Lose a Bid? This is a guest post by Debbie Ouellet of EchelonOne Consulting. Note from Bill: Here in the States, you might hear the term “boilerplate” instead of template. I’m often asked by sales professionals if I can help them write powerful RFP (Request for Proposal) response templates that will help them win every upcoming bid. It’s true, responding to RFPs can be time-consuming and stressful. That’s especially true for many sales and operations professionals who work on RFP responses while still being expected to deliver in their full-time jobs. And, templates save time and ensure a standardized look and approach to a response. Though going the template route sounds like a time saver, you’ll find that the end product won’t give you the kind of results you want. You’ll end up with a lower win ratio and have to bid on even more contracts in order to meet your sales targets. Don’t misunderstand – templates for standard questions often found in RFPs, like requests to show your quality assurance program or problem resolution process, are a good thing and should be used. But the key pieces like your solution, executive summary and related experience need to be written specifically for the RFP and the project. Even resumes for key team members often need to be edited to highlight the experience that is relevant to the RFP requirements. Here’s why: Most RFP decision makers see a lot of responses and can smell a template response a mile away. You stand a much greater chance of winning a contract when the decision makers feel that you really understand them and their needs. Your solution needs to address their problem, not the average customer’s problem. A template response won’t do that for you. That’s especially true when you’re asked to provide a technical solution to a complex problem. If you want to save time in the RFP process, you may want to consider your “bid, no bid” process to make sure that the contracts you’re going after are a good fit to begin with. Only respond to bids where you have a good story to tell, can meet all mandatory requirements and the potential payout is worth the effort needed to respond. Then you can spend quality time creating great solutions and presenting them convincingly. Debbie Ouellet of EchelonOne Consulting is a Canadian RFP consultant and business writer. She helps business owners win new clients and grow their business by helping them to plan and write great RFP responses, business proposals, web content and marketing content. You can find out more about Debbie at www.echelonone.ca/. This article originally appeared at https://www.echelonone.ca/rfp-templates-by-saving-time-can-you-lose-a-bid and was reprinted with permission.